The McCoy Wine Buffet is a stunning piece of furniture with its signature slanted sides and exposed tenons. 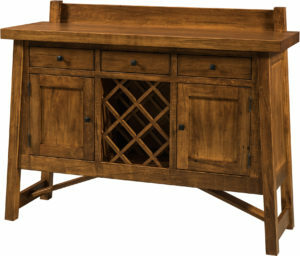 If you are a wine connoisseur you will love how many openings there are for storing your wine bottles. Additionally, you can display your wine glasses and carafes behind the antique glass doors. Put your wine opener and charcuterie boards in any of the three drawers. Then, you will be ready for entertaining all of your family and friends. For a quote, click on the “Customize This Product” button. 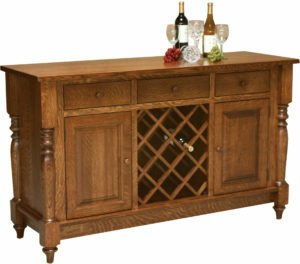 Then, choose from the wide selection of options available for this McCoy Wine Buffet. Please visit us at Brandenberry Furniture in Shipshewana, Indiana. 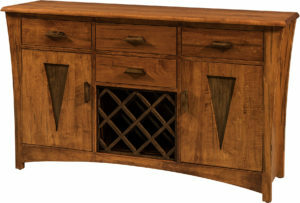 Then, you can see a wide selection of our quality crafted, solid wood buffets in person. 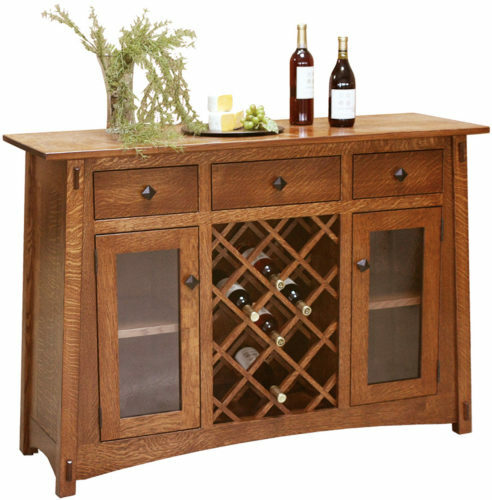 Additionally, you can call or e-mail us with any questions you may have, for help in customizing this wine buffet to meet your needs or for a complimentary price quote. We look forward to assisting you in any way we can.